Spring is in the air, which means months of enjoying the outdoors are on the horizon. You don’t have to travel to the nearest park, beach, or lake to enjoy the great outdoors. Create a welcoming outdoor space in your own backyard. A few simple changes can go a long way in making your outdoor space somewhere your family wants to gather. You don’t have to make a big investment to transform your outdoor space into an inviting spot. 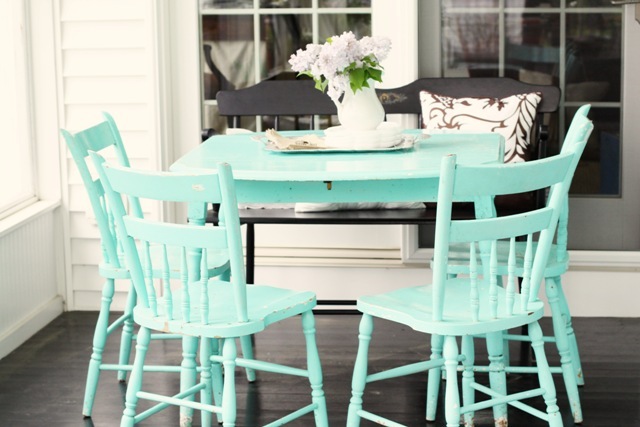 Outdoor furniture takes a beating, so give your furniture a new look this season. Spray paint wrought-iron furniture—you can choose the traditional black or add some pops of color by painting it a bright yellow or orange. Replace those dingy outdoor cushions from last season with new ones. If your patio umbrella is fading and worn, invest in a new one this year. These minor changes can spruce up your outdoor space. Even with brand new patio furniture, your outdoor space will look worn down if it’s full of overgrown weeds. Now that the weather is warmer, dedicate an afternoon to cleaning out your flowerbeds, adding some mulch, and planting new flowers for the spring and summer. 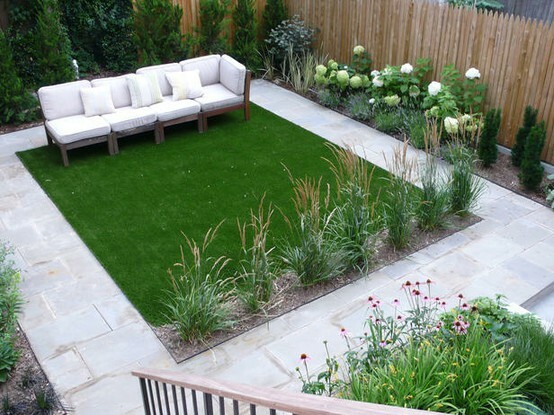 A well-kept lawn instantly transforms your outdoor space. Rugs aren’t just for the indoors anymore. 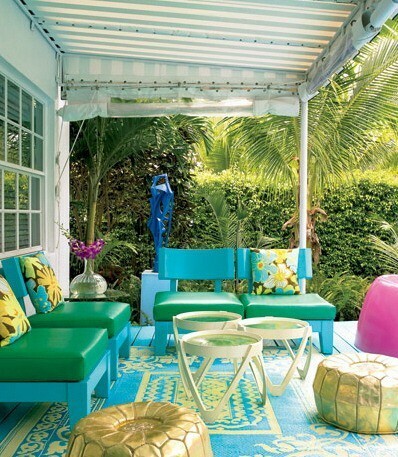 If you have a covered space outdoors, add a colorful area rug under the furniture. This decorative item makes your outdoor space feel comfortable and inviting, just like your indoor space. Choose a rug in a shade that complements your furniture and other outdoor decor. A darker color is best, as it can mask that inevitable dirt. 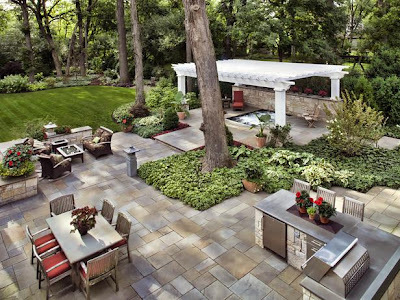 Determine the purpose of your outdoor space this spring and summer, and design accordingly. If you have young children, your outdoor space might serve multiple purposes as a picnic spot, a play area, and an arts-and-crafts area. If you love to entertain, you might use your outdoor space to grill or have cocktails. Include practice pieces of furniture that support your space’s purpose. If you love entertaining, a small tiki bar is a festive and useful item to include on your patio. If your kids will spend the summer eating lunch outdoors, place a picnic table in your outdoor space. 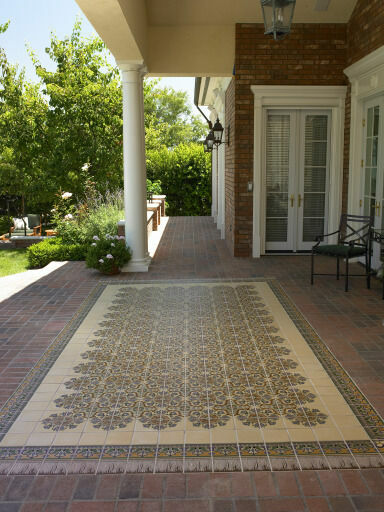 Just like your home would look sparse without decorative items, so would your outdoor space. Find durable, useful decorative accents for this space. Colorful tins of citronella candles can withstand the elements—and they’re useful, as well. A colorful rolling cooler is ideal for barbecues. Fill beach pails with small toys for the kids or use aluminum buckets to store must-have outdoor items. Place these items on tables and shelves to personalize your outdoor space. You might opt for a more neutral color palette inside your house, but embrace color for your outdoor space. Bright colors make your outdoor space fun and inviting, whether it’ll be used to entertain kids or host cocktail parties for adults. Spring and summer are all about bright colors, so it’s fitting for your outdoor space to follow this bold theme. Mix and match patterns for added fun. After a long, cold winter, your outdoor space is ready to be used once again. Spruce up the space this season to encourage the whole family to use it often. Minor changes can revamp your outdoor space for another season of family fun, cookouts, and gardening. I really enjoyed reading this article! I think color can add great ambiance in the backyard, and painting an old patio furniture set can revamp its look! I also use patio table covers so that they stay looking fabulous for a longer period of time. 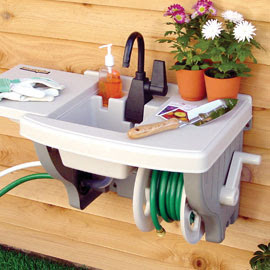 These are great outdoor ideas. If I had this kind of house and outdoor area, I would love to add some commercial outdoor furniture and wooden picnic table to make it more compelling. Anyway, color combination plays a very important role in beautifying your outdoor area.